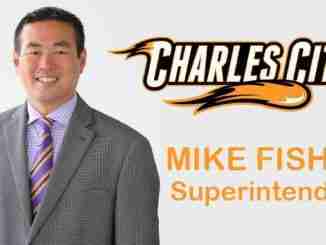 Charles City, Iowa – The Charles City Community School District Board of Education announced on Tuesday that Mike Fisher has been appointed Superintendent of Schools for the District. 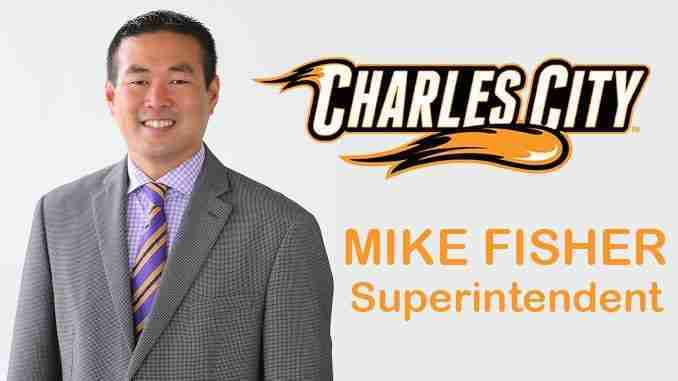 The board will take official action, pending a background check, approving Fisher’s contract at the Tuesday, May 29 regular Board of Education meeting. Fisher will officially begin on July 1, 2018. Fisher is currently the Principal of Hoover Middle School. He and his wife have 1 child. Before serving as principal at Hoover Middle School, Fisher was the assistant principal and oversaw the management of all aspects of the building. He was an Instrumental Music Director at West Marshall High School directing high school concert and marching bands, ensembles, percussion choir, and color guards. In Waterloo, Fisher implemented Project Lead the Way and Career and Technical Education curriculum for career readiness courses. Also under his leadership, Hoover Middle School earned the elite Lighthouse Status as a Leader in Me school in 2016. The Board of Education selected three superintendent finalists to interview with community stakeholders on Monday, May 21. The community offered feedback on the needs of the new superintendent through a community survey in April. Community-wide feedback indicated “caring and dedicated staff” and “innovative and progressive thinking” as points of pride for the District. The feedback also identified personal qualifications desired in the new school leader as “being approachable and open-minded” and “demonstrating collaborative leadership” as top traits. 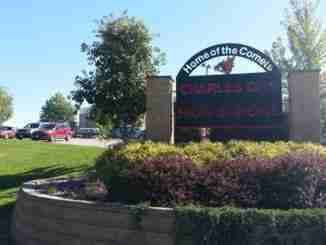 One of the first tasks for the new superintendent will be to take part in the interview process for a new Charles City High School principal. Dr. Dan Cox announced his resignation on March 26 to accept the position as Chief Administrator of Northwest Area Education Agency located in Sioux City, Iowa, effective July 1, 2018. 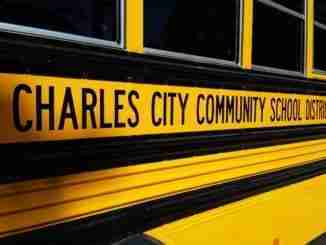 Grundmeyer Leader Search coordinated the search process for the new Superintendent of Schools for the Charles City Community School District.